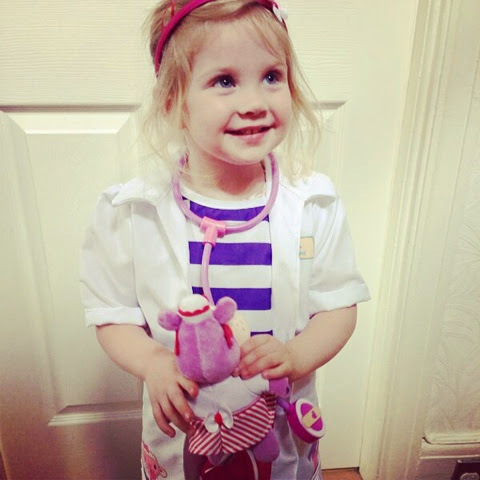 Maegan turned 3 in June and she is very much a fan of Doc Mcstuffins along with her older brother, Blake aged 5 who loves Chilli the snowman and Stuffy the dragon! We call Meg Doc McMaegan when she's in costume! 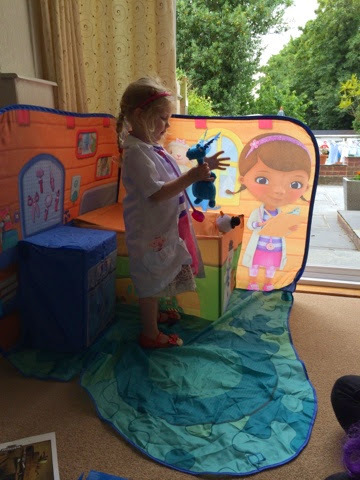 Maegan adores Lambie so when I was given the opportunity to review the latest Doc McStuffins Lambie toy I couldn't wait! 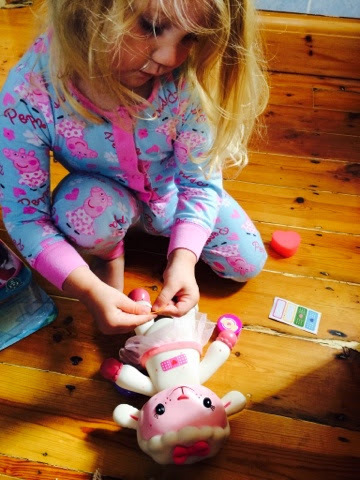 Flair have just brought out an ingenious Spotty Lambie playset! "Lambie is not feeling well! Rub the magic sponge onto her red spots and they magically disappear. Lambie is better! 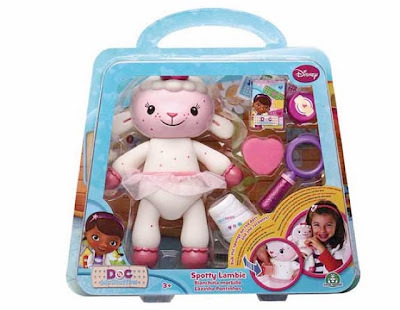 Includes Lambie, sponge, plaster cast and lots of accessories to help Lambie recover! " 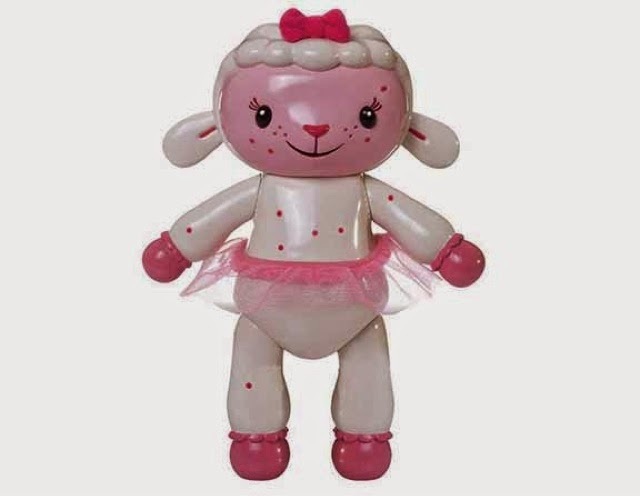 Lambie has little red spots all over her and when you rub them with a sponge or your finger they disappear! The spots reappear again in moment - which in all honesty - depending on my daughter's mood - this has lead to frustration a few times as the spots reappear so quickly, Lambie is never fully spot free! 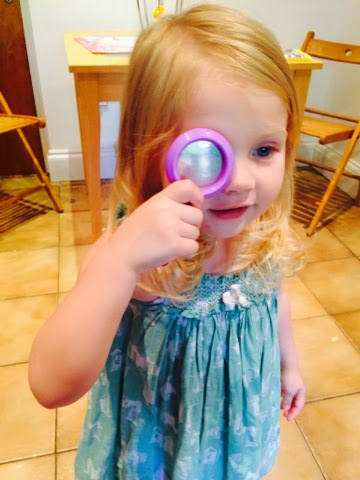 She also comes with a magnifying glass to take a closer look at all the spots. A box of plasters with reusable sticker plasters. A small pot with a removable lid and as Meg says "invisible magic boo boo cream"! A plaster cast for Lambie's leg. Lambie is made of plastic with a net tutu and soft bow - the tutu and bow are not removable. 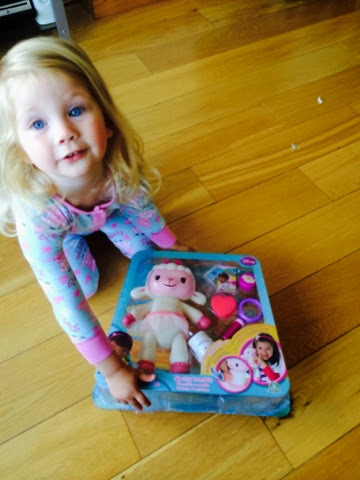 Maegan really enjoys playing with her spotty Lambie and it's been out with us on several trips! 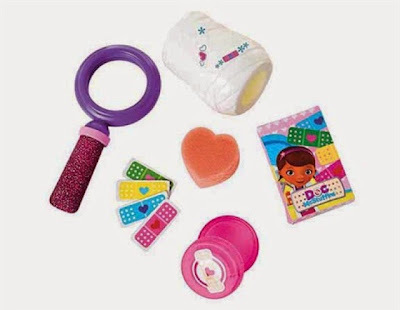 *we received a Spotty Lambie for the sole purpose of reviewing it.